Our 20-minute Ultimate Experience is our most popular. Flights are piloted by one of Matt’s specially trained TeamMHR Pilots in Matt’s two-seat race aircraft. 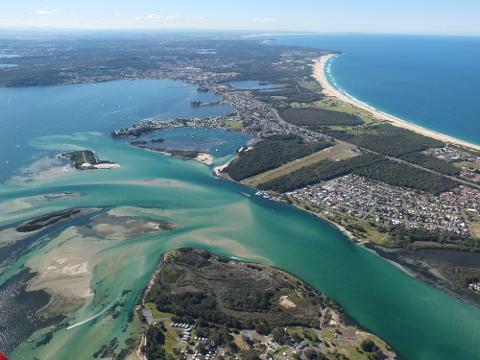 The Flight starts out with you taking in some of the sights of our beautiful region; Lake Macquarie, Newcastle City and the popular surf beaches along the central coast. Along the way, you'll get warmed up with some light aerobatics, before you work your way up towards some advanced aerobatic action. Experience loops, barrel rolls, tumbles, stall turns and tail slides - adrenaline pumping action as you put the Extra 300L through its paces. Finally, you'll get to experience the thrills of Air Racing, as your pilot takes you through a simulated air race track. Our mission is your enjoyment; You choose how much you cruise and how much time you spend upside down! Experience a simulation of the Red Bull Air Race, with all the high gravitational forces, high speeds, twists and turns the race pilots endure. 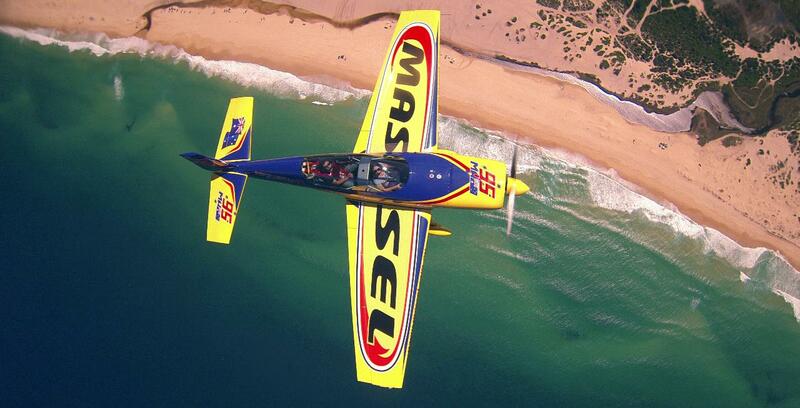 Precise aerobatic manoeuvres, including loops, barrel rolls, upside down flying and tumbles. Even if you've never flown before, you are sure to enjoy the sheer power of the Extra. Take in the sights of the beautiful hunter coastline and Newcastle city. You are in good hands; Every single one of Matt's pilots are former RAAF fighter pilots - our pilots will make sure your experience is the safest and most enjoyable aerobatic joyflight you can get. - Passengers must wear enclosed shoes; runners/joggers preferable. - Passenger weight - Max. 120kg.